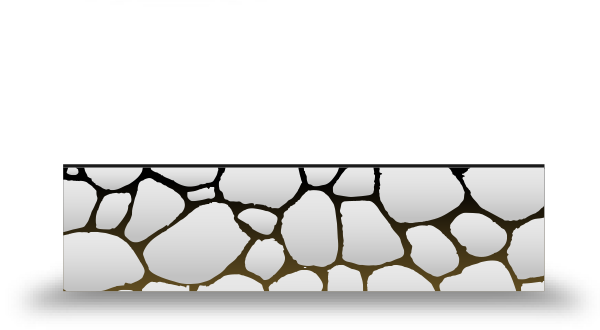 Asphalt emulsions are typically comprised of a highly engineered mixture of asphalt, water, and an emulsifying agent (also called a surfactant). Often, additives such as polymers are incorporated in the formula to achieve specific performance characteristics. 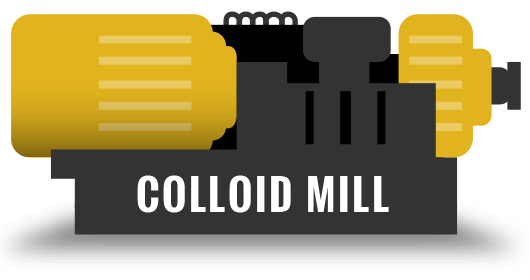 The ingredients are pumped through a colloid mill, which shears the asphalt into microscopic molecules. The asphalt microscopic droplets become coated by the surfactant (or soap molecules) with hydrocarbon “tails” that are soluble in asphalt and electrically charged or ionic “heads,” which are soluble in water. The asphalt droplets are surrounded by the ionic charge, causing the droplets to repel each other and stay suspended in the water. This stable emulsion can then be transported, stored, pumped, or mixed with aggregate and applied in roadway construction or maintenance. 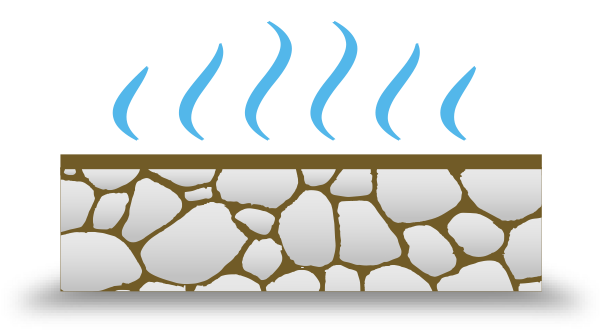 Once applied, emulsions are engineered to “break” or revert back to a state of separate water and asphalt. 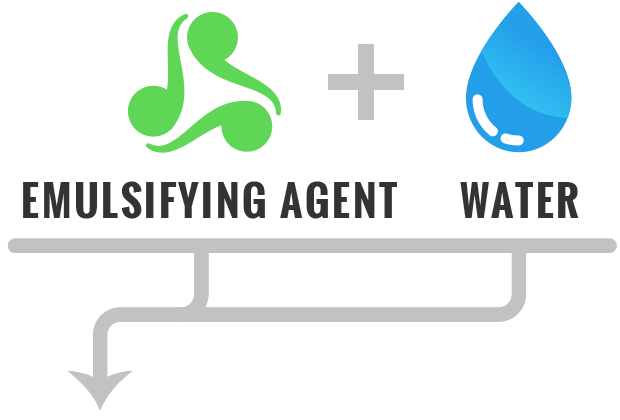 Some formulas break chemically as the surfactant destabilizes, others break through evaporation and some by a combination of the two. Engineers design emulsions to break at certain speeds to accommodate the needs of various application methods. As water is expelled, the asphalt “cures.” The particles dry and form a film over the aggregate or surface. This creates a durable, water resistant end product. From new construction, through pavement preservation, to asphalt recycling and reclamation, asphalt emulsions are critical to maximizing pavement life for the lowest life cycle cost. Versatility in construction – emulsion mixtures can be made at a central plant or on-site. They can be mixed during construction, trucked to the job-site, or stockpiled for later use. Optimize for the job – emulsions can be modified to optimize storage, curing, mixing, traffic return, and strength. 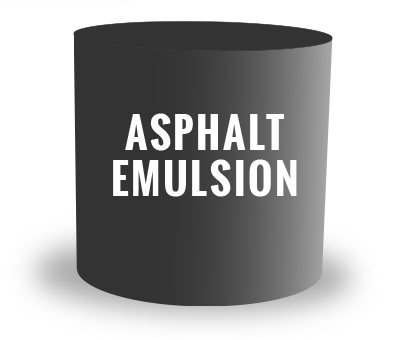 What is an Asphalt Emulsion? 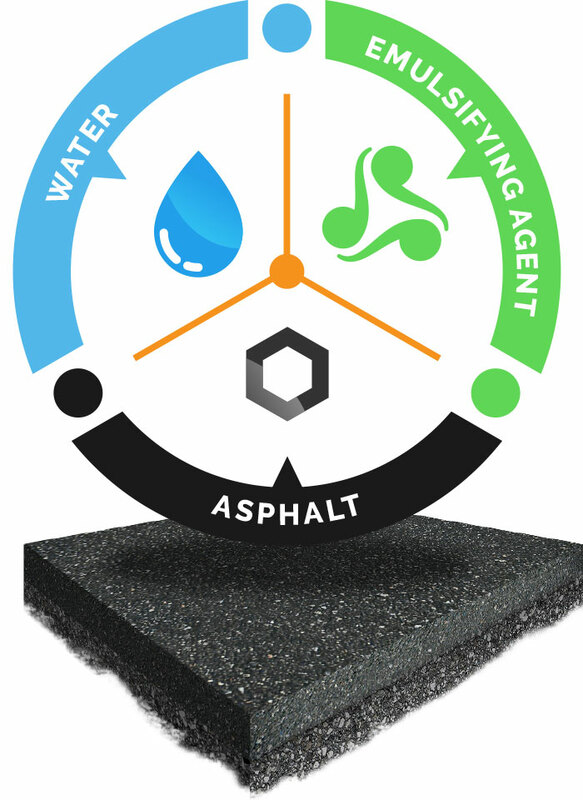 After more than 100 years of performance testing and expert engineering, asphalt emulsions have become the most environmentally sound, energy efficient, and cost-effective products used in the pavement maintenance and construction industry. 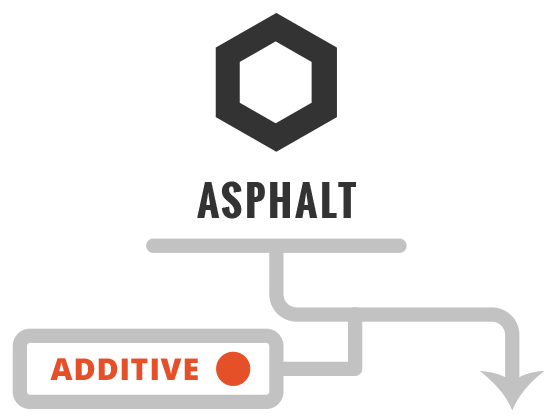 An asphalt emulsion is a chemically engineered formula designed to achieve specific performance benefits. 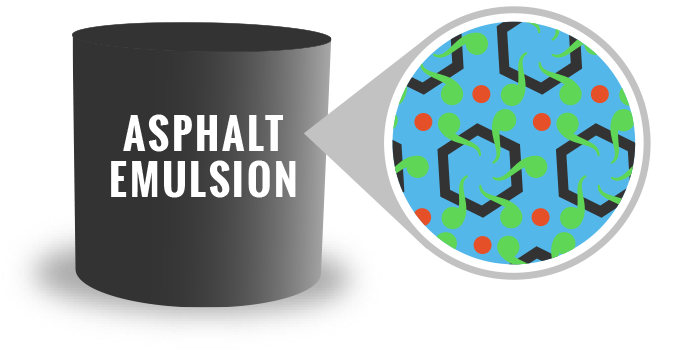 These emulsions make asphalt cement usable without excessive heating or petroleum dilution and are commonly comprised of three elements: asphalt , water , and an emulsifying agent (also known as a surfactant). How is an Emulsion Made? Wondering about those complex names? Emulsions are identified by specific letters and numbers relating to performance and behavior. Locate expert providers of various road treatments in your local area.